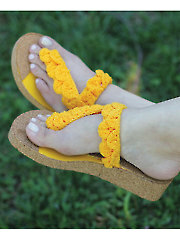 I came across this cute pattern for crocheted sandals on the Crochetncrafts web site. These are for indoor use but with a little modifications you could probably make some for outdoors also. 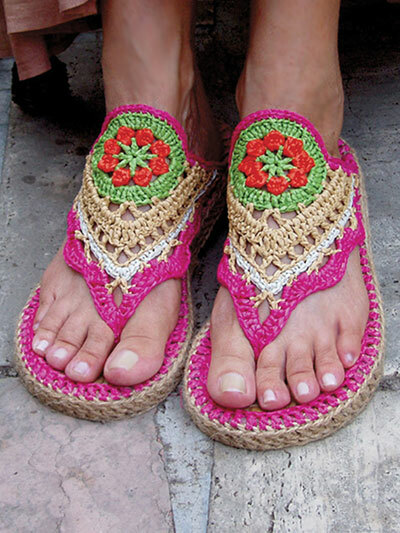 Crochet a pair of comfy sandals for summer or to wear around the house here are a few crochet patterns for you to check out to make your own crochet sandals!